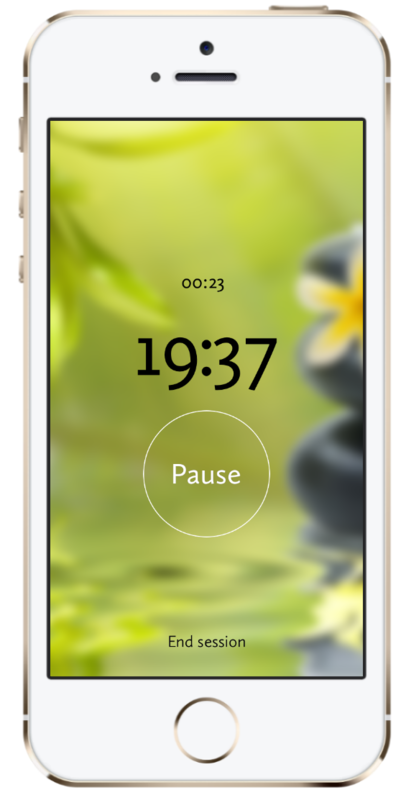 ZenFriend - Meditation Timer - Meditate daily. Change your life. "Very well designed and straight to the point app that let you be more regular with your meditation. Simple 1-click registration. I like it very much." "This app is simple. Nothing you don't need, no confusing settings and does exactly what it promises really well. Recommend it to all my meditating friends and use it all the time." "The app is very beautifully designed and intuitive. I really loved the bells, the beginning bell immediately got me in trance as I closed my eyes, and the intervals was very cool to keep me in awareness." "Replaced the boring iOS timer." "I am an ordained monk and quite frankly, your app rocks!" "This is the best app I have found for meditation." 1. ZenFriend is a global meditation community, to make the world a better place. 2. Our vision is to build a useful meditation utility for practitioners. 3. We aspire to build a global community with possibly millions of users, to motivate and inspire one another. 4. While this app is inspired by Buddhist meditation, it is not a religious app. We support all forms of meditation. 5. Our only purpose is to help people on their inner, spiritual path. 6. We make our practice visible, and by doing so we inspire others. 7. We don't evangelize. We do not aspire to convert anybody. Our practice is an offer, an inspiration. Everybody can decide to engage with this offer or not. 8. An app can only be a tool. We are convinced that an app can be an excellent one. However it can never replace actually going the path, which everyone has to do by himself. 9. May we learn a new way of living. 10. May all beings find inner peace and fulfillment. 11. May all beings be free from harm and suffering. Our vision is to motivate millions of people to meditate daily and to change their lives. Daily meditation can help to reduce stress, enhance concentration, and much more. Please visit our Help Center if you want to learn more.